Though much of the natural world is already discovered and understood, a few great mysteries remain. Consider the eel: snakelike, slimy and with a row of jagged teeth, yet aside from these fearsome qualities we know little about its life. Having evolved over more than 50 million years ago and having given rise to 15 separate species, we still don’t know where it goes, what it does and how it dies. Hailed by poets as the ‘Siren of the North Sea’ and ‘Love’s Arrow on Earth’, this shadowy creature has fascinated researchers for centuries. Not only in science, even in myths eels are present: in Maori myth, eels are born from the sky, having fallen when the heavens had become too hot and inhospitable for them. Today they lurk in the shadowy depths of the seas, travelling thousands of miles from fresh water streams to vast saltwater oceans in order to spawn. But where? When? How? Now, James Prosek, artist, writer and eminent naturalist, will take on the mystery of the eel himself, shedding light on the animal and the strange behaviour it inspires to those who seek to know it. In the course of his investigation, Prosek will meet an eclectic cult of people who have come under the spell of this bizarre creature. There’s Ray Turner, an old hermit living on the banks of the Delaware River who traps eels in his rock weir under a new September moon. There’s a Maori bush guide in New Zealand named Daniel Joe, who feeds eels by hand. 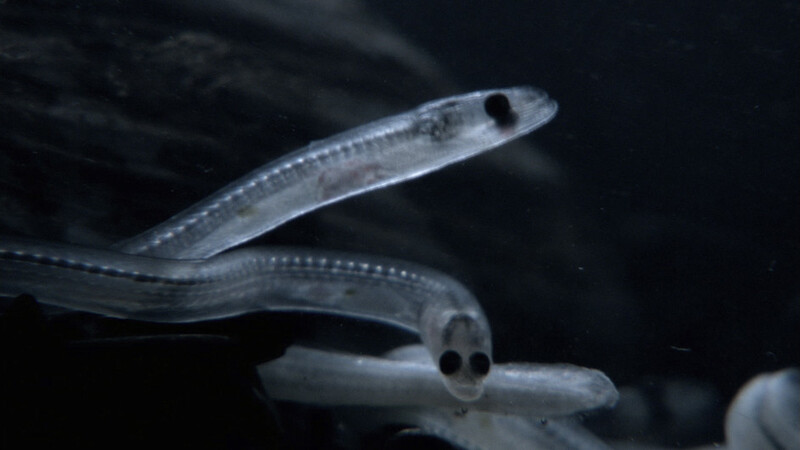 There are also scientists like Doug and Tim Watts, who fight to get the eel enlisted as an endangered species, its numbers diminished due to dams and overharvesting by commercial fisheries. And there are others, like Pat Bryant, a hairdresser in Maine, who began trapping eels in her spare time to make some extra money, a practice that became so lucrative it triggered the ‘Eel Gold Rush’. This documentary brings the dark world of the eel into focus. We embark on a journey, which takes us all over the world, from New Zealand to the Sargasso Sea and into the estuaries along the East coast of the United States. Swimming in vast and deep oceans and with typhoons to disguise its trail, the eel continues to elude biologists as if ‘Poseidon was trying to keep the eel’s secret’.